Jordy Liz Blogs: Dear Liam, You are ten months old. Dear Liam, You are ten months old. 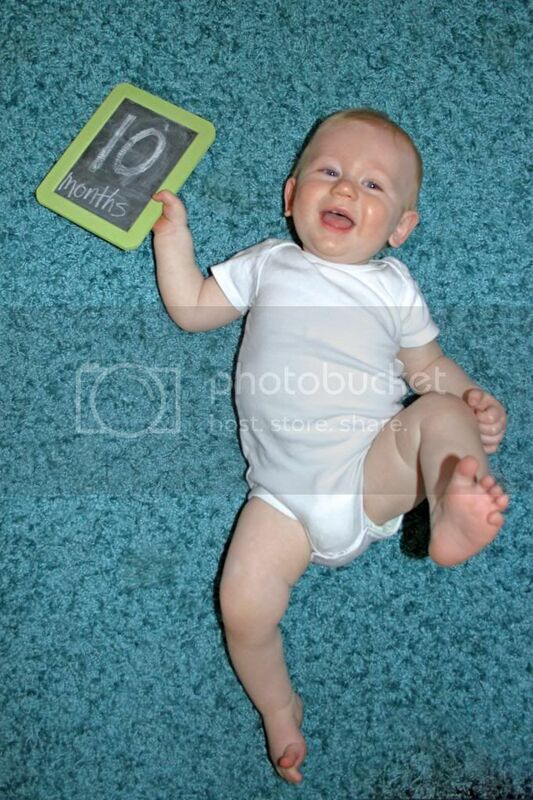 We are in the double digits; you are ten months old. I have already started planning your first birthday. Oh, where has the time gone? You seem more like a toddler these days than a baby. You're full of a personality and opinion, and you definitely don't sit still enough or cuddle for too long to be considered a little baby anymore. This last month has been your month of tricks. You have learned so much in just the last few weeks. You can stand from a squat position, clap on command, roll your lips with your finger when you see someone else do it, turn your noisy toys on by pushing the button, and wave hi and bye (except you just kind of stick your hand out with no movement, but it counts). It's been so fun seeing you soak everything in around you and then show us what you know. We think you're smart, of course. You're standing all the time and you're so close to taking a step. You walk yourself around the coffee table and couch while holding onto the side, but for now, you find it easier to drop to your bottom and crawl to whatever it is you need. I bet this next month will be telling. We are getting better at really figuring out what it is you need based on your cries and grunts and noises and whines. When you crawl up to us and whine, you're tired. When you crawl up to us and start yelling (pretty much), you're hungry. I love watching you play independently in the morning and afternoon. I can sit you in front of a basket of toys and you pick out exactly what you want. You start playing along, talking to the toys, and I can't help but wonder what it is you're saying. I'd love to be inside that little head of yours. You and Mia are getting closer and closer. You'll find her wherever she is and lay your head on her side, or "pet" her with your grasping hands. She is so patient and just lets you take over, probably loving the extra attention. If you see us pick up her leash, you come crawling over. If she sees us get out the stroller, she comes running over. I have a feeling you're going to be great friends. You're busy, little boy, and you keep me learning and growing and leaning on God's strength and grace. I will always be grateful you have done that for me. We love you, our not-so-much-a-baby.